This Enamel Pins for Dudes post is courtesy of our contributor Dawn of Revel and Glitter…Enamel pins are making a huge comeback! As a child of the 80s, I’m so excited to trick out my jean jacket with cute flair. I’ve already started a new collection and I’m keeping an eye out whenever I am out and about. So far, I’ve only found the majority of them at online retailers, but before you know it, they will be everywhere. 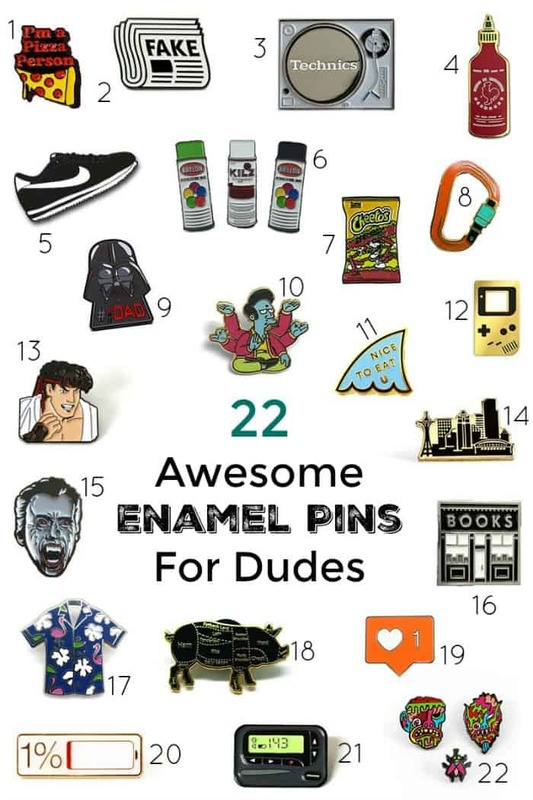 With Father’s Day just around the corner, I thought it would be fun to round up 22 of my favorite pins for the cool dudes in your life. Need more pinspiration? 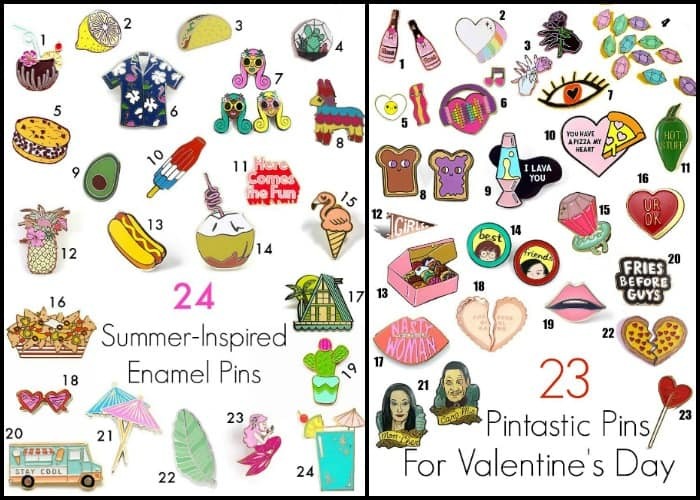 Check out my summer-inspired and Valentine’s Day-inspired enamel pin roundups. Are you on the pin train? Do you have a favorite spot to score them? Please share, I’m always on the lookout for new places to check out. You can leave us a comment below so all of the readers can see some other awesome areas to look for creative and unique enamel pins. We’d like to send a big THANK YOU to Dawn of Revel and Glitter for sharing these creative and fun ideas with us. Over on Dawn’s blog you’ll find plenty of party ideas for all of life’s celebrations. I hope you’re ready to plan a party because she’s sure to leave you inspired! Be sure to follow her on Facebook, Pinterest and Twitter for even more creative ideas.